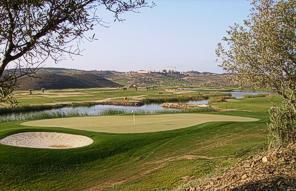 With the signature of Seve Ballesteros, the Quinta do Vale Golf Resort course is an excellent challenge for beginners and a unique opportunity for the more experienced to put their techniques and skill to the test. 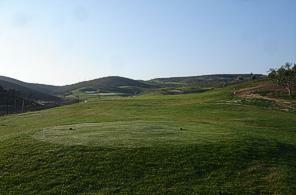 The renowned Spanish golfer’s promise was simple: to please everyone regardless of their handicap. Covering an area of 75 hectares, the 18 hole golf course (par 72) is complemented by a driving range and a specially designed zone for beginners and practice with a putting green and an extra 9 holes. 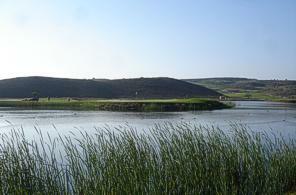 Phenomenally integrated into the landscape and with a breathtaking view over the Guadiana River, the course makes good use of the natural conditions of the terrain and has some truly spectacular holes. The degree of difficulty between the holes is well balanced and means that the course is competitive and thrilling to the end. The different tees, the relatively large fairways and the many dog-leg holes and hazards which make the choice of club off the tee crucial, will benefit players who can reach par 3s and 4s in regulation and get birdies on the par 5s. 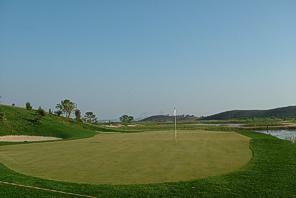 The Club House is ideally located in the centre of the resort, and promises to be the social hub of Quinta do Vale. 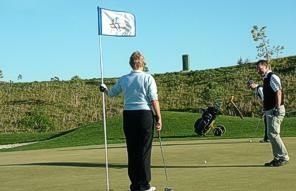 It is an elegant and sophisticated space, an ideal meeting place for golfers and visitors alike. It has spacious changing rooms, a gym, private members rooms, bar and restaurant. This charming complex has all the facilities a golfer might need after a round of golf. 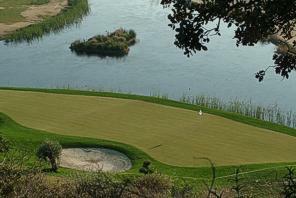 Grass: Fairways: Bermuda 419 grass, Greens: Bentgrass L93. Rough: Festuca & Ryegrass. Requirements: Handicap Certificate is required. 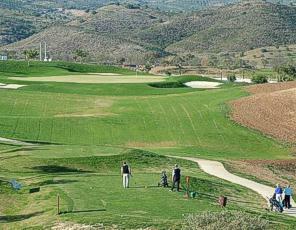 Facilities: Driving Range, Putting Green, Golf Academy, Clubhouse, Restaurant, Bar and Pro Shop, Club hire, Buggies, Trolleys.